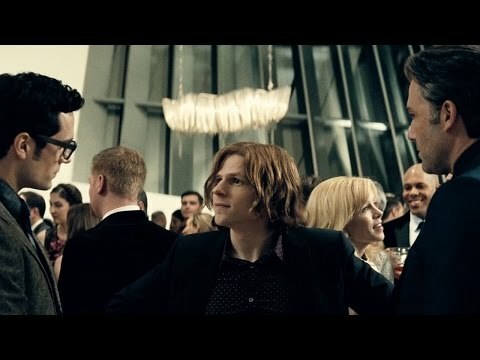 While Batman and Superman are having their arguably petty I-Am-Alpha-Male battle, Lex Luthor is simmering up a plan that could topple the both of them. As their conflict grows out comes Doomsday to prove them both wrong! You can watch how things progressed in the new trailer of Batman v Superman: Dawn of Justice. The movie is directed by Zack Snyder with Ben Affleck and Henry Cavill as the titular characters. They will be joined by Jesse Eisenberg, Amy Adams, Diane Lane, Laurence Fishburne, Jeremy Irons, Holly Hunter, and Gal Gadot. The screenlay was written by Chris Terrio and David S. Goyer. The film is produced by Charles Roven and Deborah Snyder, with Wesley Coller, Geoff Johns and David S. Goyer serving as executive producers. Watch the new trailer of Batman v Superman: Dawn of Justice. Here is also a recently release clip from the movie.